I go to the Caribbean a lot — at least 2 times a year, travelling via cruise ship because it’s a quick escape to warm weather from the cold Canadian winters of home. 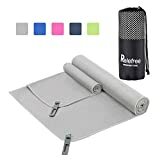 No, because technically you don’t need to bring your own beach towel because all the cruise lines offer a clean one for your use daily. 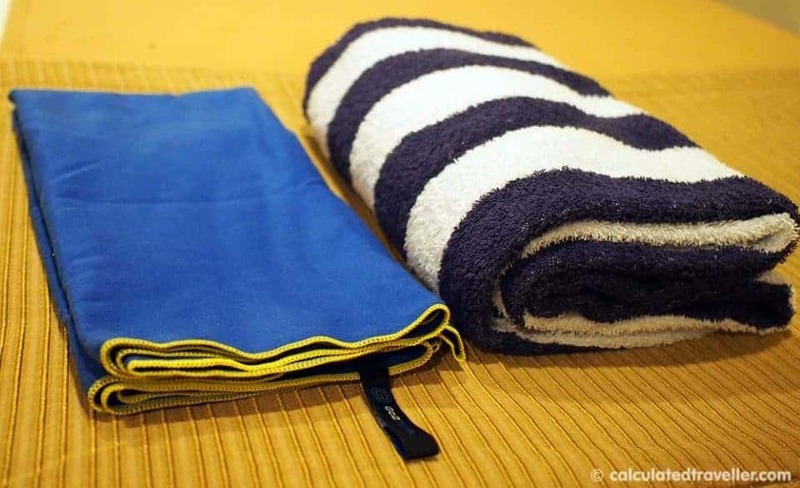 But YES, I always travel with my own beach towel and feel that you should too. 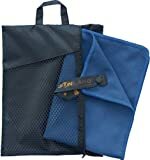 It’s a full size bath sheet and it’s bulky to carry around forcing you to carry a large beach bag to hold it. 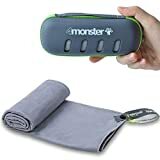 It’s super fluffy and absorbent, but it gets really heavy when wet. It’s emblazoned with the cruise logo / colour / stripes marking you as being a tourist. 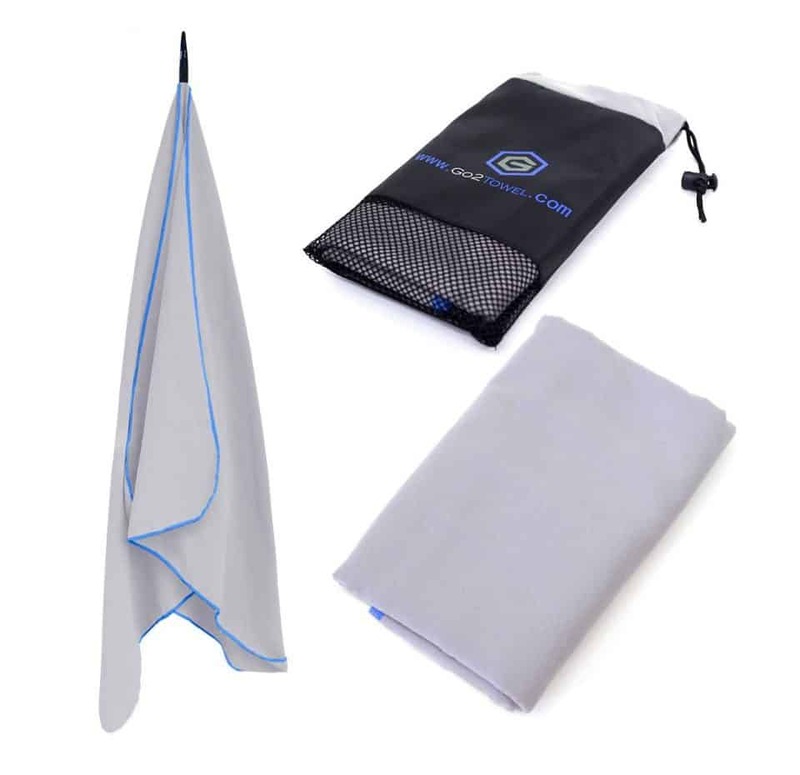 Lose that towel ashore and you’ll be charged for it later! 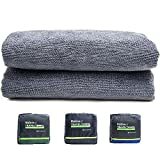 Travel as a family of 4 and that’s 4 heavy towels and bulk to carry around all day. 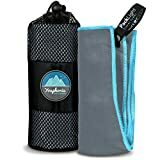 My travel towel of choice is lightweight, compact, mildew resistant, easy care, fast dry and absorbent (blue towel on the left). 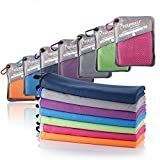 I had been using a micro fibre towel that my sister picked up for me years ago and although I loved it — it’s smaller, heavier, doesn’t have a loop so I can easily hang to dry, nor does it have its own carrying bag. It was brand new technology at the time and cost me about $40 CDN. 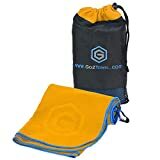 On my last trip to the Caribbean I brought with me a new towel by Go2 Travel Towel and much prefer it to my earlier towel mainly because it comes with its own handy carrying bag and it’s also very affordably priced. Esthetically the yellow stitching on the edging is a bit bright and high contrast for my taste but that’s just my opinion. I prefer to carry as little as possible when I’m planning a trip to the beach. 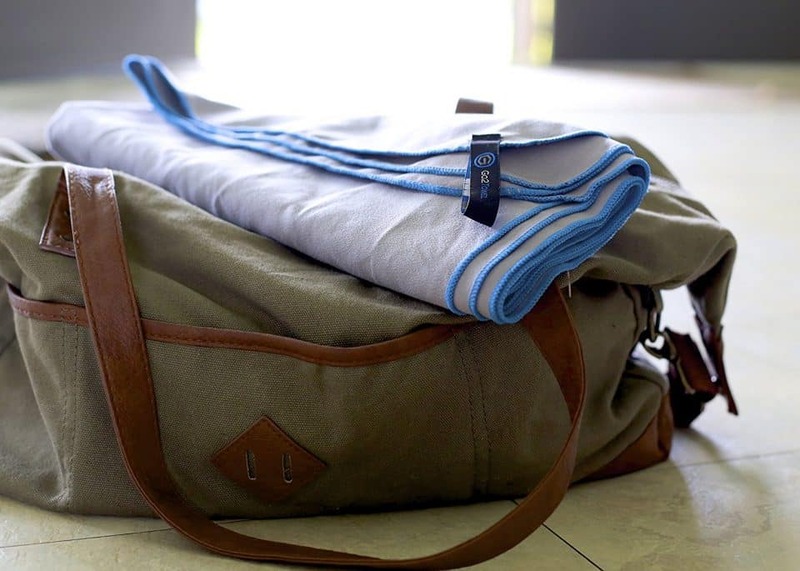 I don’t want to be THAT person with the huge beach bag filled with bulky, heavy towels. 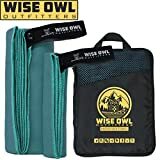 Check out Go2 Travel Towel or other similar styled microfiber travel towels the next time you are shopping for travel gear. Go2 Travel Towel provided a towel for review purposes. I was not financially compensated for this review. Opinions expressed are as always, my own. 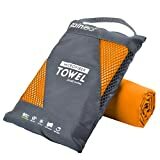 I have a similar travel towel, yet it’s a different brand. I highly recommend them. 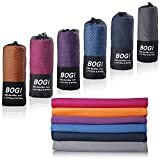 Mine actually dries me quicker and better than conventional beach towels and like this one, is much, much smaller and lighter.